Harrisville is part of the SAU 29 school district along with neighboring towns of Chesterfield, Keene, Marlborough, Marlow, Nelson, and Westmoreland. Grades 9-12: Harrisville students attend Keene High School along with the other towns in the district. Grades 7-8: Harrisville middle school students attend Keene Middle School in the new middle school building. 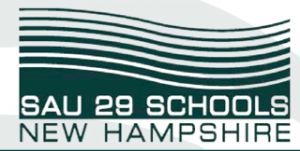 Grades K-6: Harrisville Wells Memorial School is the towns only in-town grade school. Pre/Daycare: the Harrisville Children’s Center offers infant and toddler daycare services along with preschool programs.